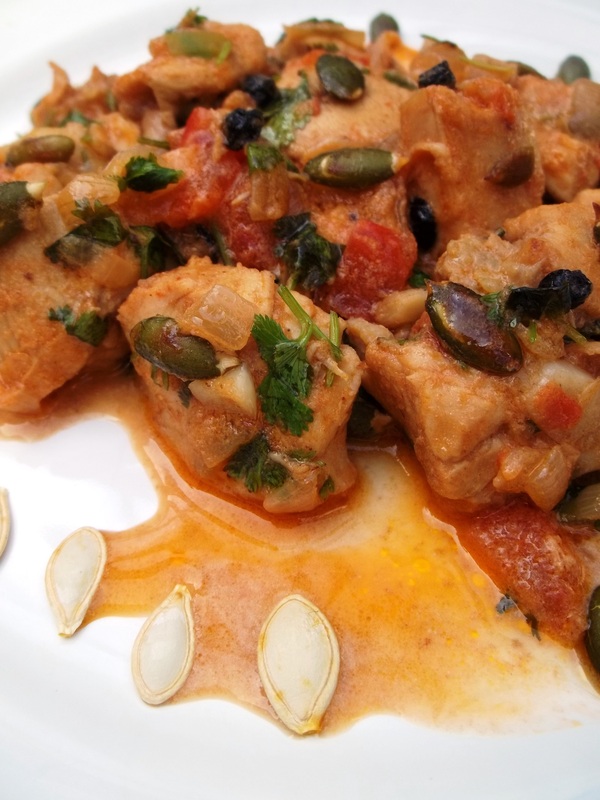 In this family recipe we show how to make a delicious chicken dish flavored with pumpkin seeds, fresh green coriander and garlic. 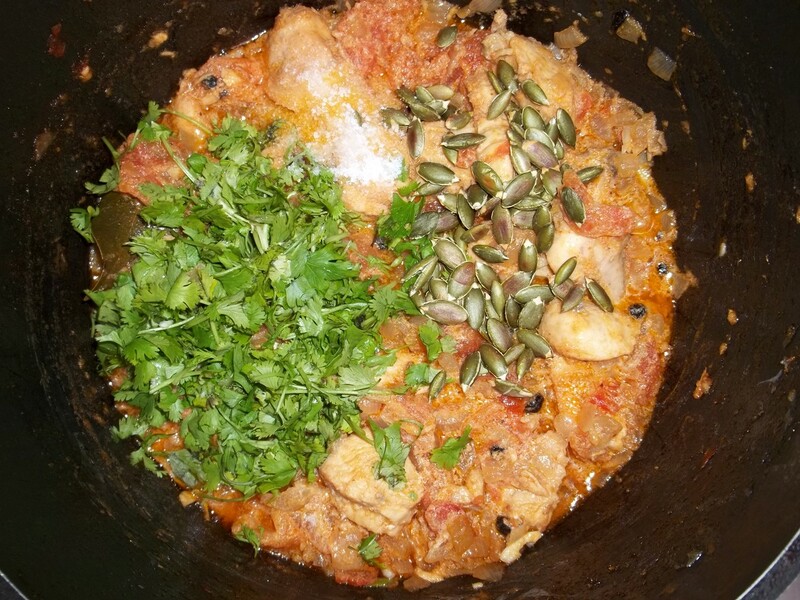 Ingredients: 1 whole chicken or 1 kilo of chicken breasts, 3 onions, 3-4 cloves of garlic, 15 grams of fresh green coriander, 2 large tomatoes, 120 grams of pumpkin seeds, 1 tbs of black peppercorns, 1 bay leaf, 50 grams of butter, 3 tbs of vegetable oil, 2 tbs of vinegar, 2 tbs of sour cream, and salt. Preparation: Wash and cut the chicken. 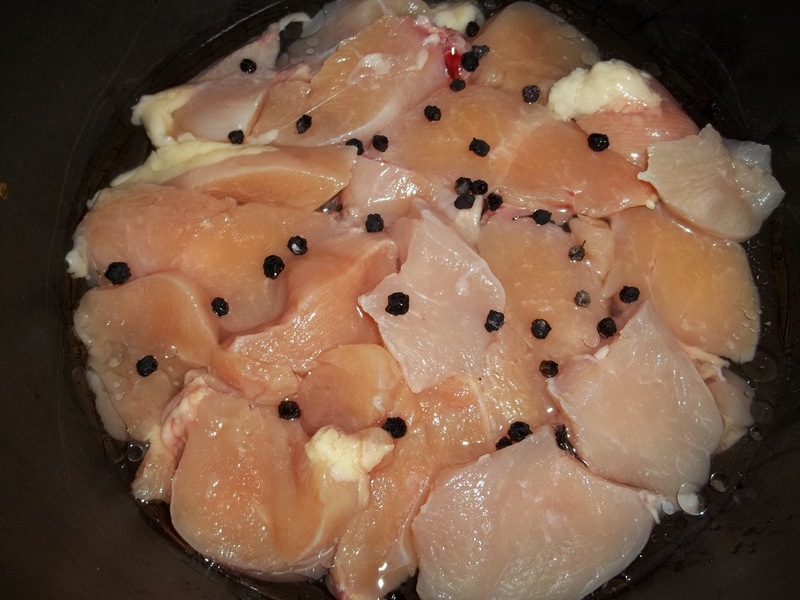 Add to a pot, together with 1 tbs of black peppercorns, 50 ml of water, 2 tbs of vinegar and 3 tbs of vegetable oil. 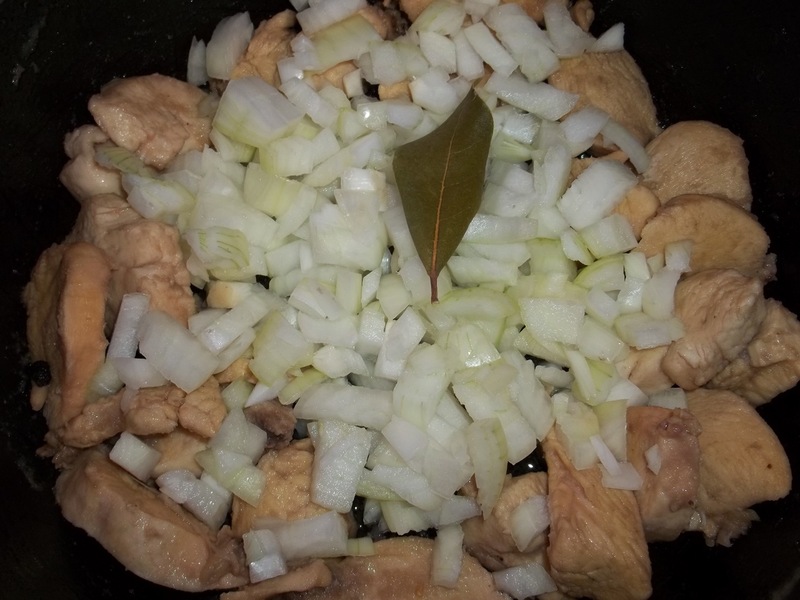 Cover and bring to the boil and then continue to cook on a low temperature until the liquid disappears. Chop the onions and add to the pot. Stir. Cook (uncovered) on a medium temperature for 5-6 minutes, stirring frequently. 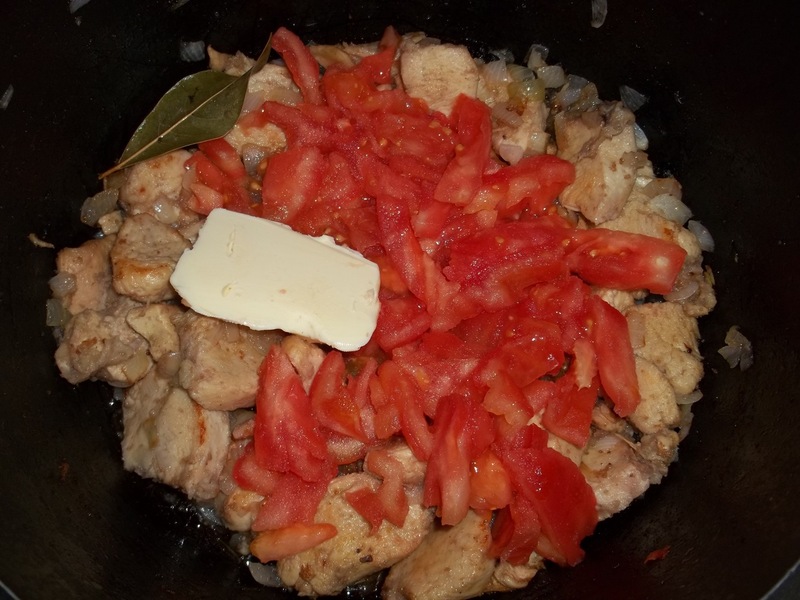 Chop the tomatoes and add to the pot, together with 50 grams of butter. Stir. Cook on a medium temperature for 5 minutes, stirring frequently. 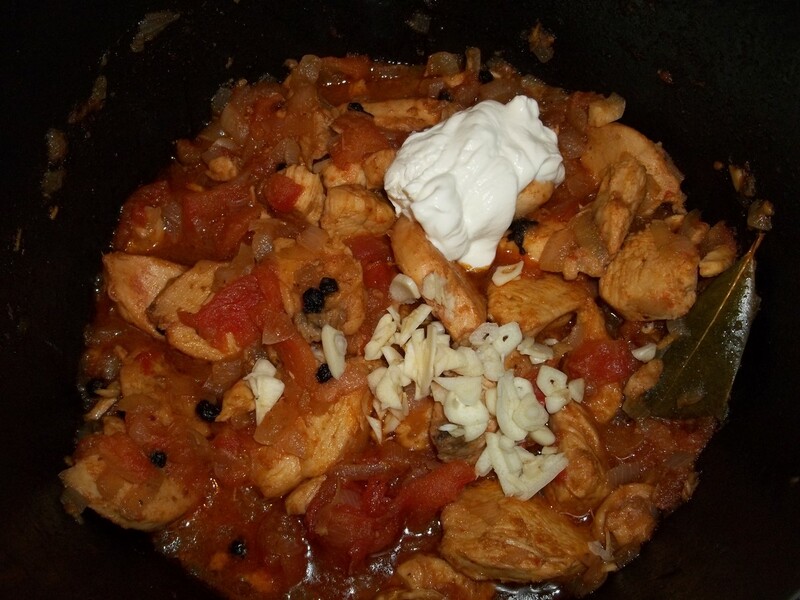 Chop 3-4 cloves of garlic and add to the pot, together with 2 tbs of sour cream. Stir. Continue to cook on a medium temperature for 1-2 minutes, stirring frequently. Chop the fresh green coriander and add to the pot, together with 120 grams of pumpkin seeds, and salt. Stir and turn off the heat. 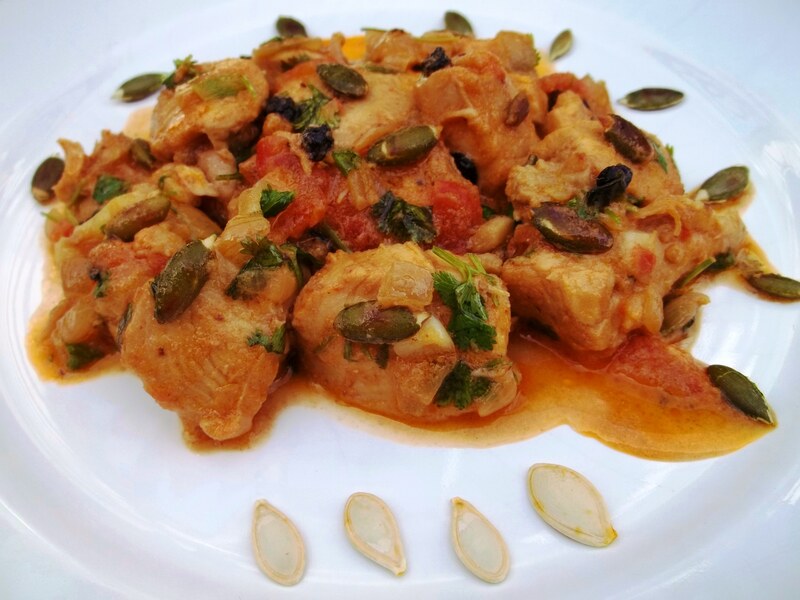 Enjoy your Chicken Chashushuli with Pumpkin Seeds!